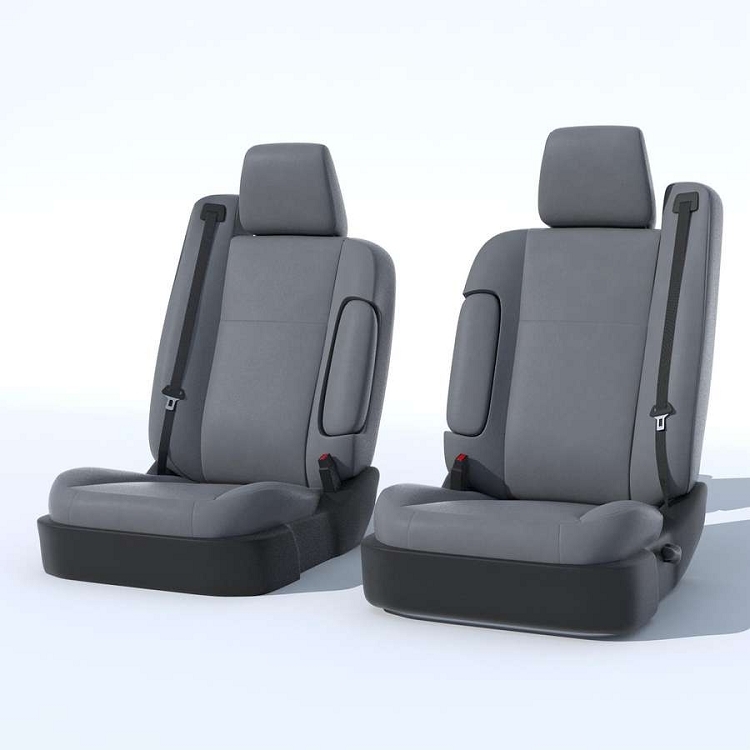 PrecisionFit Custom Leatherette Seat Covers for 1997 - 2003 VW EuroVan. Fits MV, GLS and EuroVan Camper models. Covers are for 2 front row bucket seats with 2 armrests each and 2 headrests. *not for Rialta. Fits over factory seats only. Upgrading your car, SUV, or truck seat covers has never been easier. We have a luxurious Leatherette Seat Cover that is made from premium synthetic materials but delivers the same look and feel of genuine leather seat covers. Not only do these covers look amazing they are foam-backed to deliver maximum driving comfort for you and your passengers. Leatherette is far more robust than genuine leather to resist stains and is moisture and fade resistant. Our Leatherette is available in a wide range of color choices to complement your vehicles factory interior. Every seat cover is manufactured right here in the USA and sold per row.